With the stage version having won Olivier and Tony Awards, how will the film version match up? 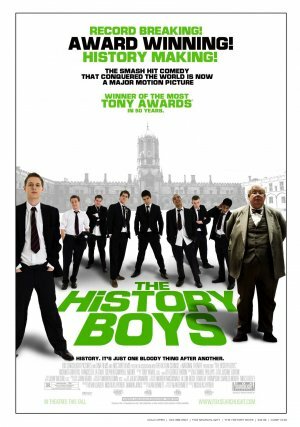 Most recent films based in schools focus on teenage angst, geeks and jocks, whereas History Boys is a breath of fresh air. It tells the story of eight students studying the entrance exam for Oxford and Cambridge. The story is told through their lessons with English teacher Hector, played by Richard Griffiths, who teaches them general studies while recent graduate Mr Irwin, played by Stephen Campbell Moore, helps these working-class students impress the dons at Oxford and Cambridge. The film’s real focus is the question, ‘what is education for?’ This is best shown when Hector describes his general studies class, “I’ll let you in on a little secret boys. 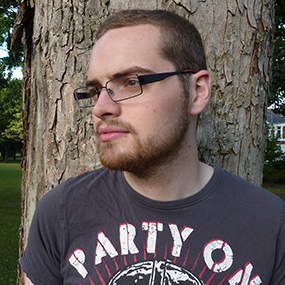 There is no such thing as General Studies. General Studies is a waste of time. Knowledge is not general, it is specific.” In this way Hector shows he understands education which makes him more approachable than the Headmaster and Irwin, who are teaching the boys how to pass tests. The film carefully deals with sexuality but still manages a lighter side, such as when Posner, played beautifully by Samuel Barnett, comes out to Irwin by saying “I’m a Jew, I’m small, I’m homosexual and I live in Sheffield. I’m fucked”. The tender way Alan Bennett writes his characters helps the film convey the sexual interaction between the characters, centring mainly on Dakin, played by Dominic Cooper. As the object of Irwin’s secret, and Posner’s not so secret, affections he plays the role in an understated manner meaning that it is the other actor’s emotions that you notice. The main cast work brilliantly together and were the original cast for the stage version at the National Theatre. In particular, the students are intelligently written so you care about each of them as individuals as well as in a group. Ensemble casts sometimes suffer from uneven writing of character arcs where you can lose individuals, however this film is not one of these. This film will not be to everyone’s taste as it is slow paced; however it is a little gem that is certainly worth a viewing.